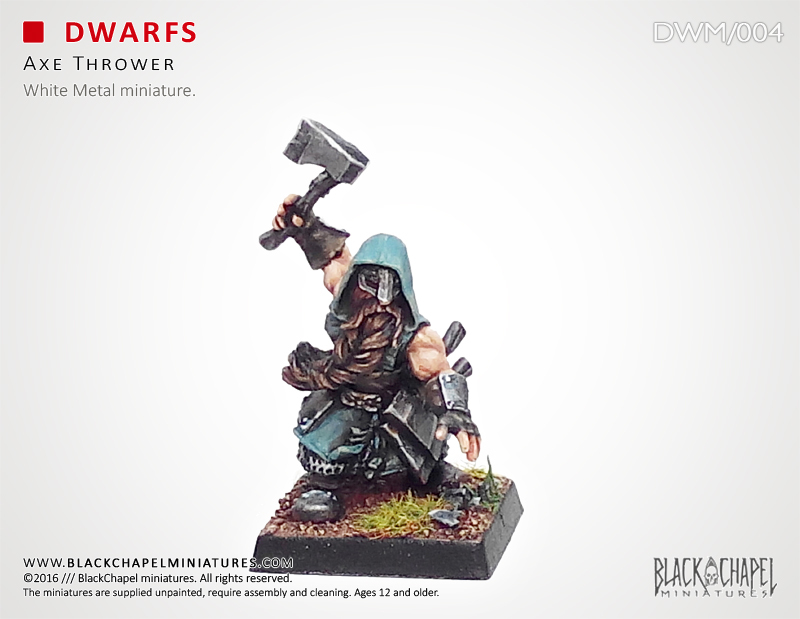 The throwing axes of the Northern Dwarfs have a tremendous destructive power, being really devastating in expert hands. These dwarfs are very appreciated in the frequent "hunting parties" organized by the dwarves of the north, due to its speed and mobility are often decisive in missions ambush or stalking. 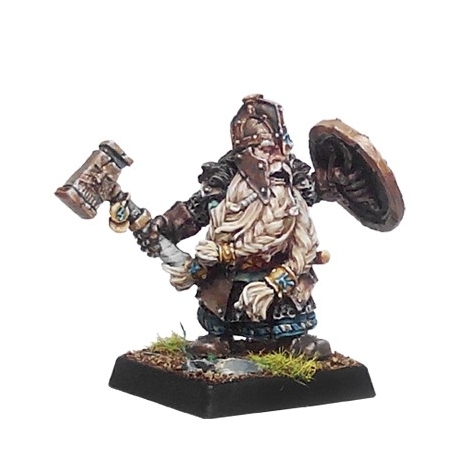 The throwing axes of the Northern Dwarfs have a tremendous destructive power, being really devastating in expert hands. 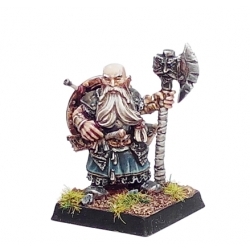 These dwarfs are very appreciated in the frequent "hunting parties" organized by the dwarves of the north, due to its speed and mobility are often decisive in missions ambush or stalking. 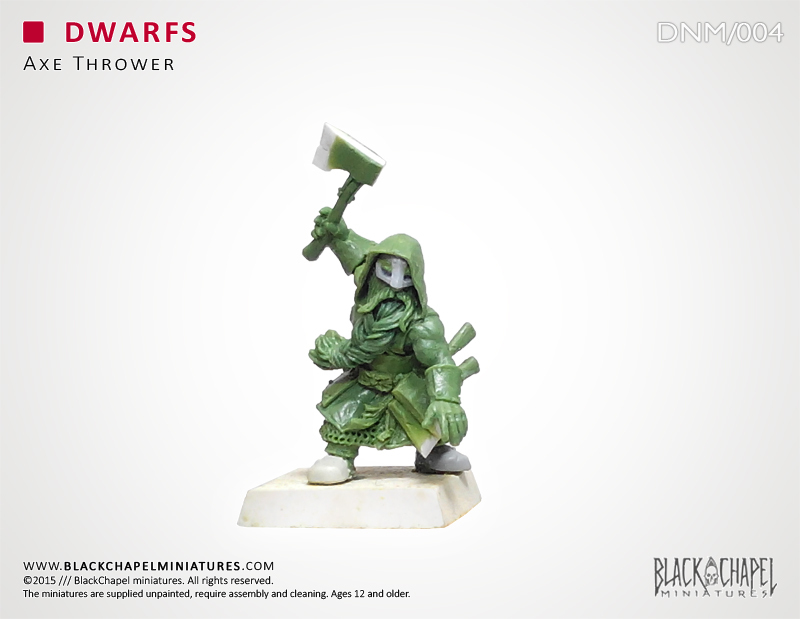 The pack allows to assemble one Axe Thrower. 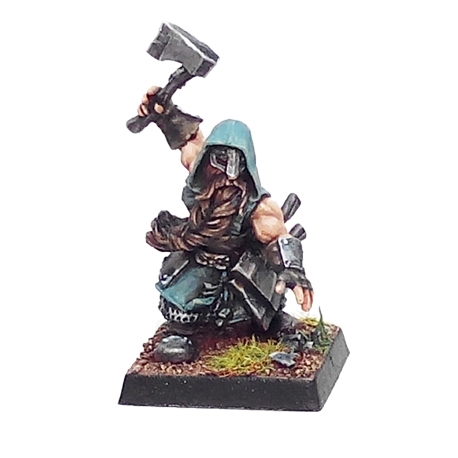 The skillful blacksmiths dwarves are able to create powerful weapons and incredible feats. 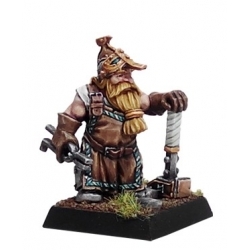 The dwarf blacksmithing is almost a religion and the blacksmiths jealously guard the secret power of the dwarfs. 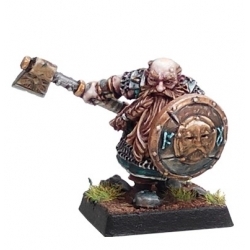 Dwarfs are fearsome warriors, with their heavy armor and shields. 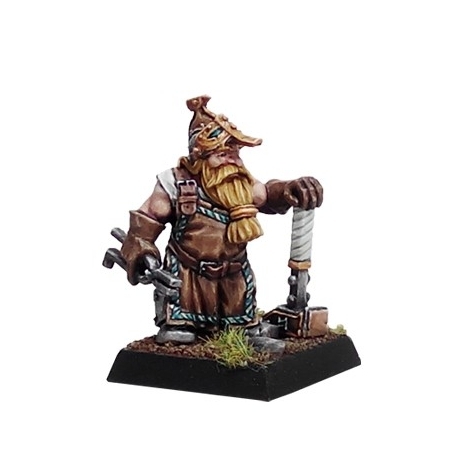 Defense is his great virtue, they are stubborn, proud and never flee from the battle. 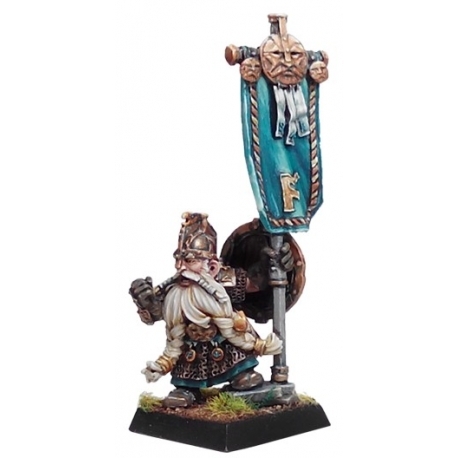 The Venerable of the Ancestors Chamber, are the most wise and respected members of the guard. The Guard Banners are relics of another time, evoking past glories and strengthens the dwarf spirit, with more bravery and tenacity. 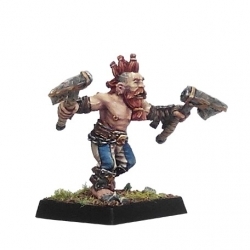 These Northern dwarfs follow the teachings of the God Dwalnir, the most terrible and furious from the first parents. 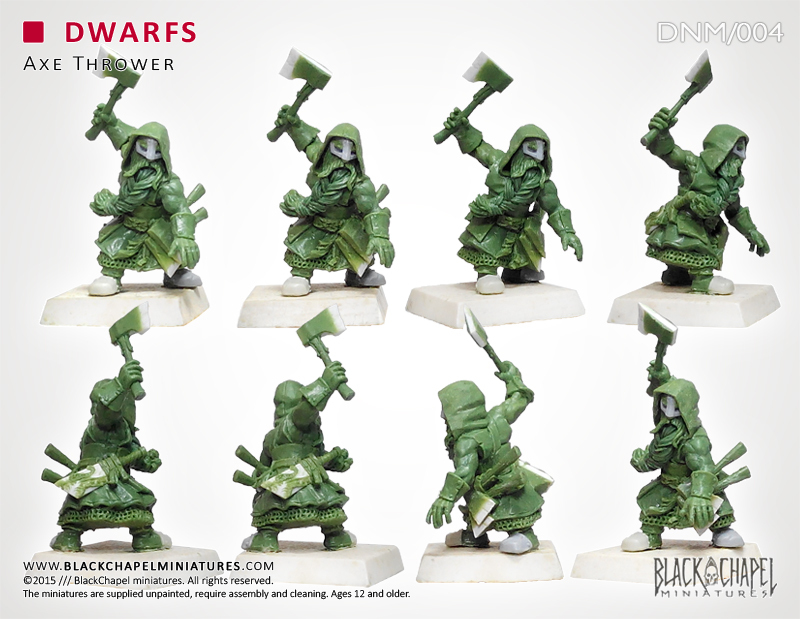 The dwarfs of the Northern Mountains are known for their ferocity, passion for war and battles. The Guard of the Ancestors Chamber are the most admired and revered warriors of the Dwarf race. It is easy to recognize the dwarfs of the Möllekyn Clan for his strange appearance. In dwarf society they are considered reckless, irrational and extremely unorthodox. 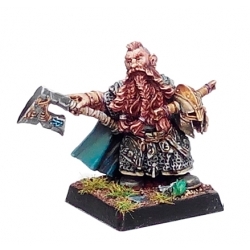 All dwarf in the north is able to recognize different horn touches to act accordingly. 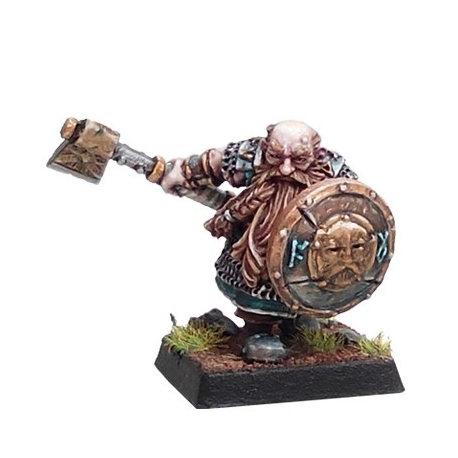 In the cold and inhospitable north, the dense snow or fog may be the worst of enemies and the throaty sound of the big bronze horns of the dwarfs are the best communication. To be Jarl in the inhospitable north is more than to be a holder of a title, is not an honor bequeathed by the ancestors or the birthright of the most famous surnames. 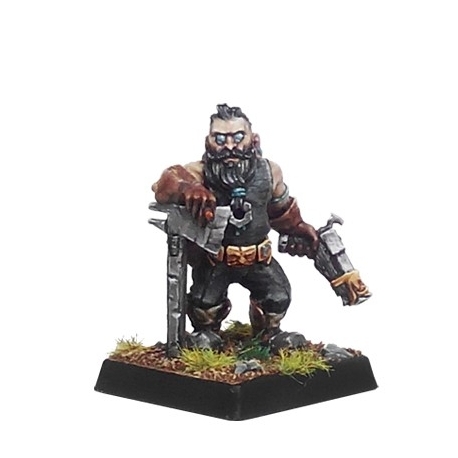 To be a Jarl among the fiercest and most passionate fighting dwarfs, means a lot, clever, strong and able to inspire the most sincere loyalty on his warriors. 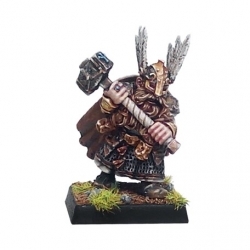 As the great military leaders of the north, Jarls have control of large numbers of troops, among which acting as his Lord.